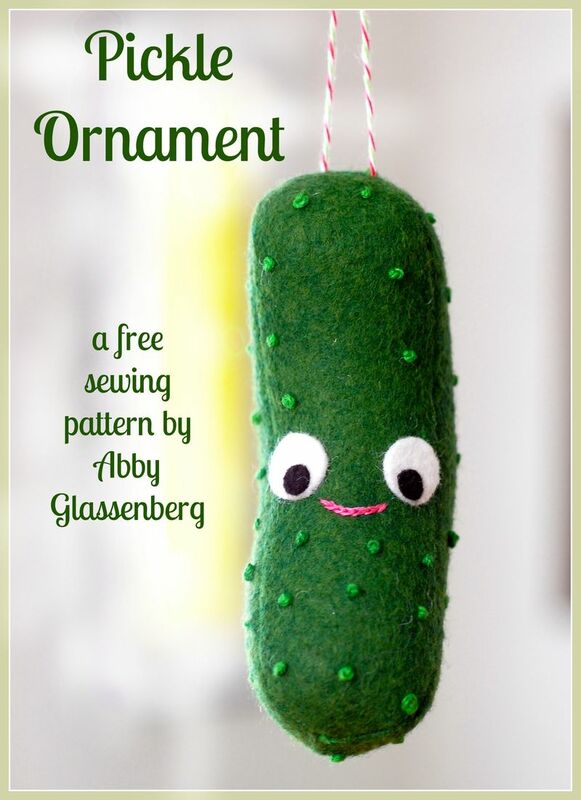 Today is National Pickle Day so it seemed only fitting that I give you a free pattern for a Christmas pickle ornament. Why a Christmas pickle? It seems to be based on some sort of German legend that has perhaps been debunked. I don’t really know. But what I do know is Christmas pickles are hilarious and adorable and I needed to make one as soon as I found out about them. This pattern is very quick and easy. Just three pieces and a bunch of french knots. Need help making french knots? Here’s a 20-second video that explains it perfectly. Or skip the french knots and use seed beads or dots of fabric paint to add bumps to your pickle. Whatever you do, you must sew a pickle as soon as possible. Also, a pickle in a Santa hat is pretty irresistable. Get your free pattern as a PDF download right here. P.S. What do you call a frozen pickle hanging from the roof? Leave me a pickle joke, okay? It’s really no big dill. Like this post? Sign up for my newsletter for more fun projects! 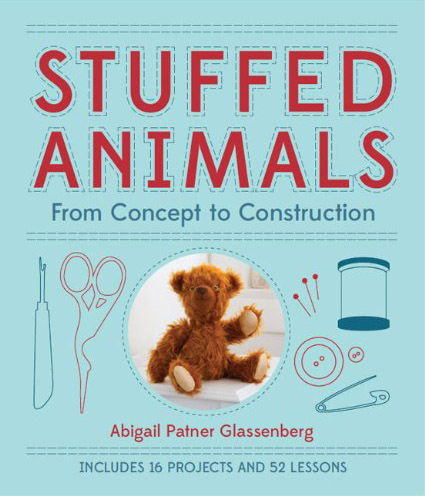 And check out my Etsy shop for lots of easy-to-sew softie patterns! aaaaand I just found a Christmas gift for my pickle-obsessed husband. Thank you Abby! This is too wonderful! I have had a number of glass pickles in my life, but this one is even better! Awesome, Holly! Happy pickle sewing! Excellent! I checked around before I designed this pattern and there didn't seem to be very many sewing patterns for pickles. I hope you enjoy it! BWAHAHA!!! I’m still chuckling. My DH thinks I’m nuts. I can’t wait to tell the kids that joke. 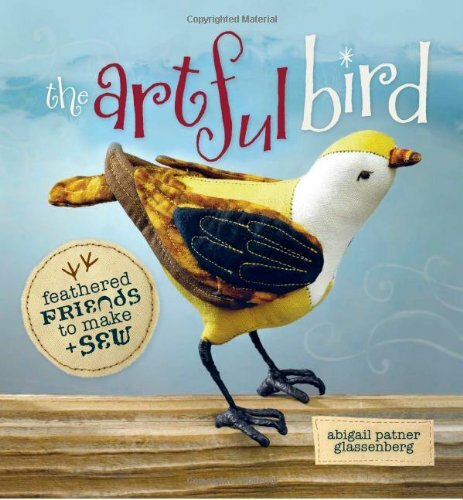 He’s so cute, I just may have to make him. I'm glad you liked my joke 🙂 I told it to my kids at breakfast and got one smirk. I think it's a pretty good one, though! Ahahaaaa-amazing pickle. That is great! And where do you find glass pickles? ha. I looked up pickle jokes and apparently there are tons, who knew? Q: What does an agreeable pickle always say? A: I relish the idea. Q: What happens when you get some vinegar in your ear? A: You suffer from pickled hearing! Oh my gosh its so cute! Look at it’s little santa hat! I'm glad you like it, Kim. OMG, This is so awsome! I started my fist garden this summer with the main reason to make pickles. They were the best we’ve ever had. I’ll have to make this for my best friend and I.
Ow, that's awesome. I'm imagining that homemade pickles from veggies you grew yourself must be amazing. Hope you like it, I made somethings a little differend, like adding bells and orange. Thank you for the patttern! I'm so glad. I enjoyed chatting with you at Crafterminds! perfect timing! thank you for this! the glass ones break so easily. OMG, I’ve now found the ornament that I can add to each of my childrens’ collections. Different pickle hats on them, of course. Thanks sooo very much for your work and free pattern. Very cute but I have to tell you, it’s funny that nobody in Germany ever heard of that pickle legend. I only read about it on american blogs and website. But well it doesn’t matter. I love your pickle! 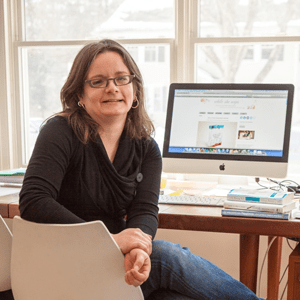 Stefanie – I had a suspicion that was true. That's okay! A pickle as an ornament is hilarious anyway! So glad to hear it, Pegg! That's a good thing about a felt pickle. It won't shatter! thanks for sharing this cute pattern! You're welcome, Elenor from Austria! 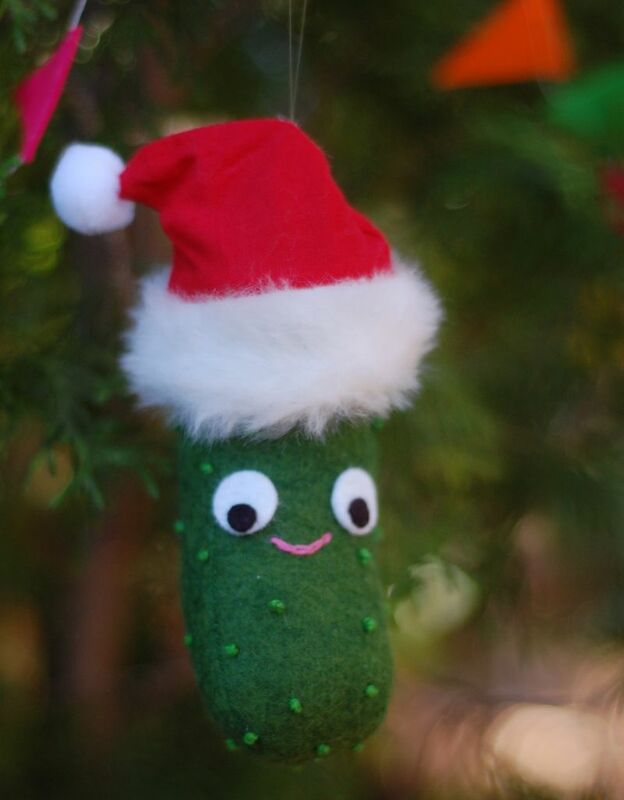 We don’t do a tree, but I think I might make a plush pickle anyways just because he’s so cute 🙂 Thanks for sharing! A pickle is awesome anytime and anywhere, right! Love this! Thanks for the pattern. What happens when you get some vinegar in your ear? You suffer from pickled hearing! Hello, I used your pickle pattern and made some alterations and turned it into a narwhal for my nephew. 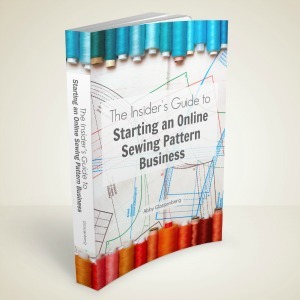 I also linked back to your pattern on my blog so you’d get the credit. 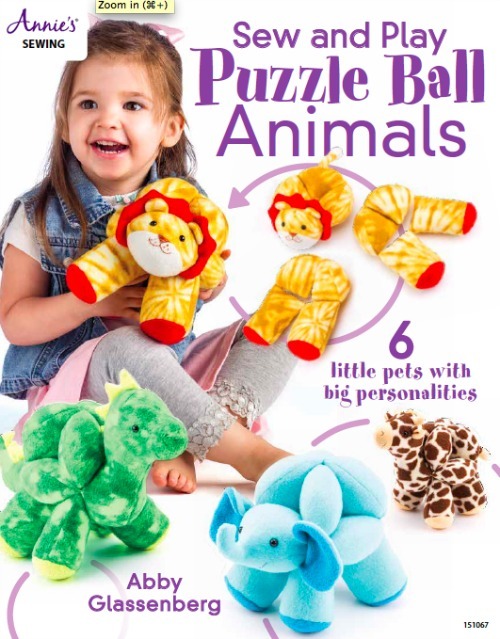 Thanks for the free pattern…it is brilliant and super cute…just like all your work! This is so awesome, Amy! I would never have imagined it, but the pickle shape can so easily become a narwhal! I love it! Thanks very much! It’s no where near as awesome as your designs, but it’s a small start, and I am dreaming big! I absolutely love this! I can’t wait to make one!! My boyfriend and I were at pier 1 and he saw a glass one and he didn’t know what it was so I told him the story and that I would hide one in his tree this year! This is so perfect thank you! I think I might make a pickle. I LOVE this ornament! I don’t know when I’ll have time, but I might make one for each of my bell choir members, and to wrap them I’ll put them in a mason jar along with a small print out of the legend. It’ll be a change from the actual pickles they get every year from me! I have enough pickle ornaments now to almost fill their own tree (you make pickles long enough, people bring you anything pickle related…which i LOVE!). Can’t wait to get started! Packaging them in a pickle jar is a BRILLIANT idea! I happily came across your pickle pattern on Buzzfeed yesterday it gave me an opportunity to take a break from my own plush creations. I wrote and posted images on my blog. I love your pickle! His Santa hat is adorable and I like how the little embroidery stitches created puckers like a real pickle! This will make a perfect, treasure hunt starting in a socking of my pickle loving son. How fun. Life is like a pickle, it’s up to you to decide how sour yours will be. What is black, green and white? Answer: Pickles crossing the zebra crossing! I absolutely love this! Thank you for the pattern. I wanted a pickle a few years ago after seeing a friend who did this tradition. But the only one I found at the store was super glittery and it would shed each time you touched it. I forgot to even look again this year and my kids even asked if we could have one. So now I will make one for next year. Felt is so much better and more personal and less breakable too. I would really like to make this but I do not understand how the center piece is attached and is confusing me about what parts of the other two are sewn. Nevermin. After taking another close look at the finished and pattern, I now understand. Oh, so cool! I have on my to-do list this week to make up a new version in fleece! Gotta love a good pickle ornament. We are German and hide a pickle ornament in our tree on Christmas Eve. Then on Christmas morning, the first kid to find the pickle gets to open the first gift of Christmas! It’s gets a little rough as the kids have gotten older, so a soft pickle will be a great addition! What instrument does the cucumber play in the high school band? Love your pickle! We have several glass and plastic ones on our tree. We have a lot of fun with our last name. Tshirts that say “Dill with it” and “I’m kind of a big Dill”. And who else has Duct tape with their name on it?! What’s a pickle’s favorite show? Dill or no Dill.